Revolutionary 3D cell-animation graphics further refined, and more game content added! Carrying on the legacy from 1998, comes the next addition to the “Guilty Gear” series! All visuals have been tweaked to the finest detail and hand-polished by the animation masters to produce the top quality hand-drawn anime effect! More than 20 insane fighters to choose from! New and old characters join the fight like Johnny, Jack-O’, and Jam Kuradoberi, Haehyun, Raven and Dizzy! Stylish Type: Introduces an extra input for performing specials and Overdrives to add a new layer of strategy to the battle! GUILTY GEAR Xrd: REV 2 Intro Movie, EVO News, and More! 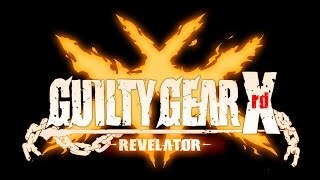 BLAZBLUE CENTRALFICTION and GUILTY GEAR Xrd REV 2 to Participate in the Evolution Championship Series 2017!